Picasso, Klee, and Matisse are the undoubted stars at the Museum Berggruen. The new exhibition series 'Sideways' directs our gaze to the lateral regions of the collection by tilting the spotlight onto those artists represented by just a single work: Raoul Dufy (with a miniature architectural ceramic work designed to hold small plants), Alexander Calder (with a delicate mobile), and Henri Laurens (with a bronze figure of a pregnant woman). In the first half of the 20th century, all the artists in the collection added their voice to an intense and lively discussion on key artistic questions such as: What is the principal function of art, if its declared aim is no longer to imitate nature? Can a work of art instead give rise to its own reality? And if so, how should this come about? The remarkable density of high-calibre works in the Museum Berggruen's collection allows viewers to clearly see how the artists of the Modernist period experimented with precisely these questions. 'Sideways' explores modern art through the prism of a handful of individual objects. Each of the three instalments in the series features an extraordinary artwork by Dufy, Calder, and Laurens. Their works spark paired dialogues with other artists in the collection: Raoul Dufy and Henri Matisse (24 October 2014 to 22 February 2015), Alexander Calder and Paul Klee (28 February 2015 to 6 June 2015), and Henri Laurens and Pablo Picasso (summer 2015). Painting and the graphic arts take centre stage at the Museum Berggruen. 'Sideways' now shifts the emphasis to other art forms: ceramics, kinetic sculpture, and statuettes. 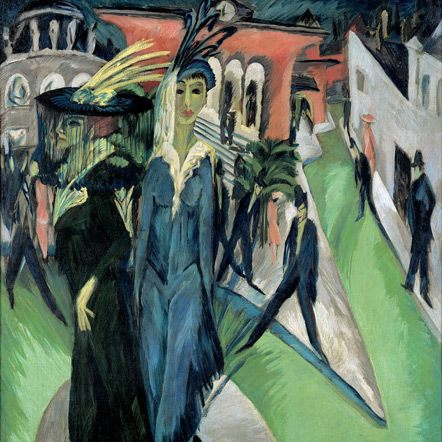 An accompanying programme of events explores the unique qualities of these media as seen through the striking exhibits by Dufy, Calder, and Laurens. A mobile created by the American artist Alexander Calder (1898-1976) forms the turning point (in every sense of the word) of the small exhibition 'Alexander Calder - Paul Klee' at the Museum Berggruen. The delicate object seems to react to its audience, quivering slightly on the currents of air visitors leave in their wake. The object also oscillates between abstract and figurative form. Seen in a certain light, it requires no great leap of the imagination, for example, to envision a seal in the circus, balancing a colourful toy on its snout. In 1926 Alexander Calder moved to Paris, where he lived for several years and befriended Joan Miró, who, in turn, was familiar with the art of Paul Klee. The exhibition takes a closer look at the shared artistic themes from this time of intense cross-pollination. What can we learn about modern art by comparing Calder and Klee? What aspects of Klee's art are strikingly echoed in the kinetic sculpture of Calder? 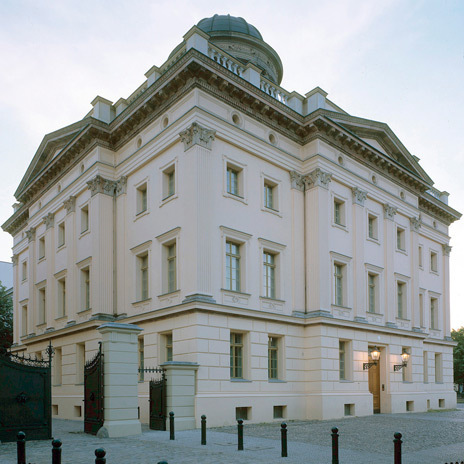 The current exhibition is the second part of the SIDEWAYS series at the Museum Berggruen. The series focuses on artists who are represented in the collection by just a single object: Raoul Dufy, Alexander Calder, and Henri Laurens. Their works spark a dialogue with the three more prominently featured artists in the collection: Henri Matisse, Paul Klee, and Pablo Picasso.